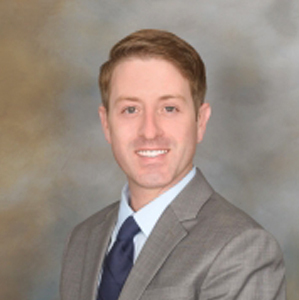 Joseph R. Schwamb is a 2015 graduate of Northern Kentucky University Salmon P. Chase College of Law. Mr. Schwamb’s practice primarily focuses on family law issues including, divorce, custody disputes, child support issues, and maintenance. Prior to joining Clay Daniel Walton & Adams, Mr. Schwamb was an Equal Justice Works AmeriCorps fellow at the Legal Aid Society of Louisville where he dedicated his practice to assisting low income Veterans with a variety of legal issues including family law, housing, and consumer protection. In 2017, Mr. Schwamb had the opportunity to present at several Kentucky Law Updates. Specifically, he prepared and presented his Continuing Legal Education seminar, Meeting the Legal Needs of Kentucky Veterans through Advocacy and Understanding. Mr. Schwamb was admitted to the Kentucky Bar in October 2015 and the Western District of Kentucky in 2016. 2017 Kentucky Law Update – Meeting the Needs of Kentucky Veterans through Advocacy and Understanding. Ashland, Louisville, Owensboro, Lexington, and Paducah.